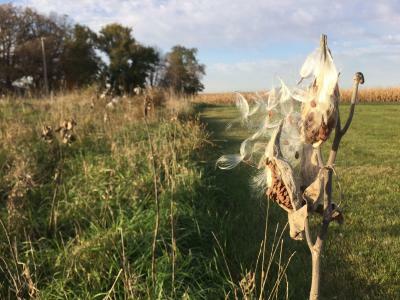 Each autumn, after the monarch butterflies have departed for their migration south to Mexico, the seed pods of milkweed plants scattered across the midwestern landscape split open to reveal a bounty of seeds. 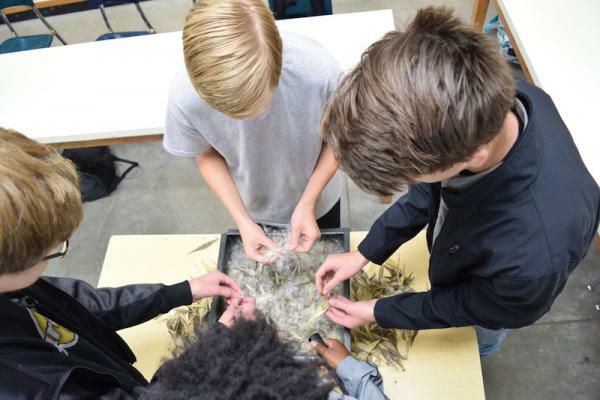 A classroom full of biology students at Ames High School recently contacted our research team with some questions about milkweed and monarch butterflies. 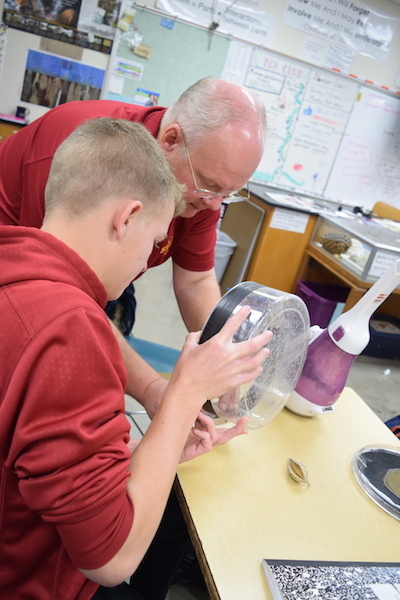 Team members Keith Bidne and Nick Oppedahl met with them for some project-based learning: a hands-on demonstration of cleaning milkweed seed. Seed pods, like the ones on the common milkweed plant pictured here, contain hundreds of seeds. These pods split open in the autumn to disperse their seeds with the help of fluffy "floss" attached to each seed. Common milkweed plants like this are a familiar sight along many of Iowa's roadsides, streams, and farmsteads. Other native milkweed species include butterfly milkweed, swamp milkweed, and whorled milkweed. In fact, there are more than a dozen milkweed species native to Iowa! 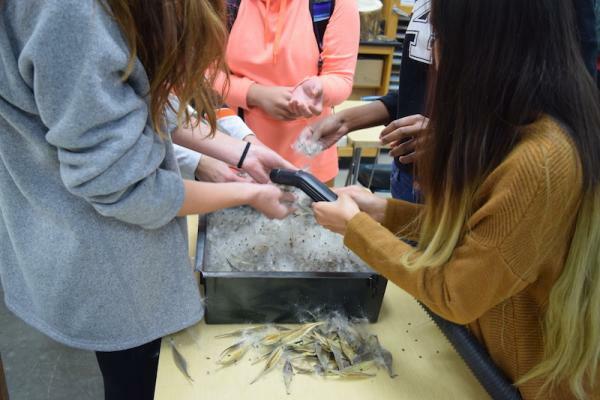 Back in the classroom, groups of students scraped the seeds and floss from locally grown butterfly milkweed out of the seed pods and into large tubs. Using a combination of large and small vacuums, they separated the milkweed floss from the seeds. This cleaned seed will be stored and germinated at a later date. The milkweed plants produced from it will be used for our team's ongoing milkweed and monarch butterfly research projects.